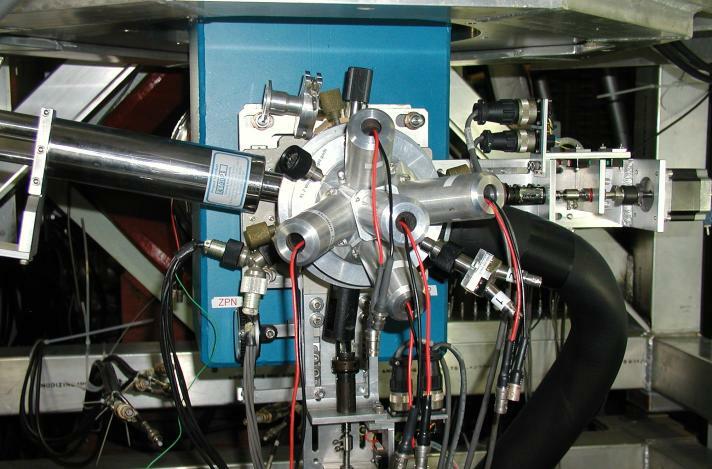 The HiTime spectrometer uses an American Magnetics superconducting magnet, superseding the Belle spectrometer. 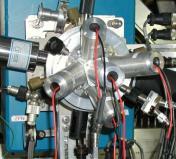 It is dedicated to studies with high transverse fields and high frequencies, so its counters all have short light guides with high-field mesh dynode phototubes: the muon counter and active collimator each have four phototubes, and are mounted in the beamline vacuum; the four positron counters and the muon veto form a cryostat insert and sample holder. The magnet is a superconducting split solenoid delivering 7.0 T (70 kG) from 77 A (906.8 G/A) and which runs in persistent mode very, well, persistently. The magnetic field is much more homogeneous, both in space and over time, than the previous Belle magnet. Sadly, it is mounted slightly askew. 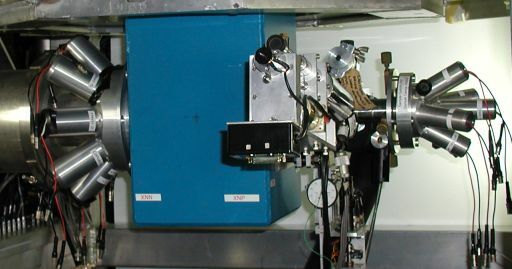 The Oxford Instruments cryostat is a hybrid between a gas flow and cold finger cryostat as the helium flow is through a ring around the sample area - the sample is cooled by helium exchange gas surrounding it. (This system has the benefit of not having the gas become very dense at low temperatures.) 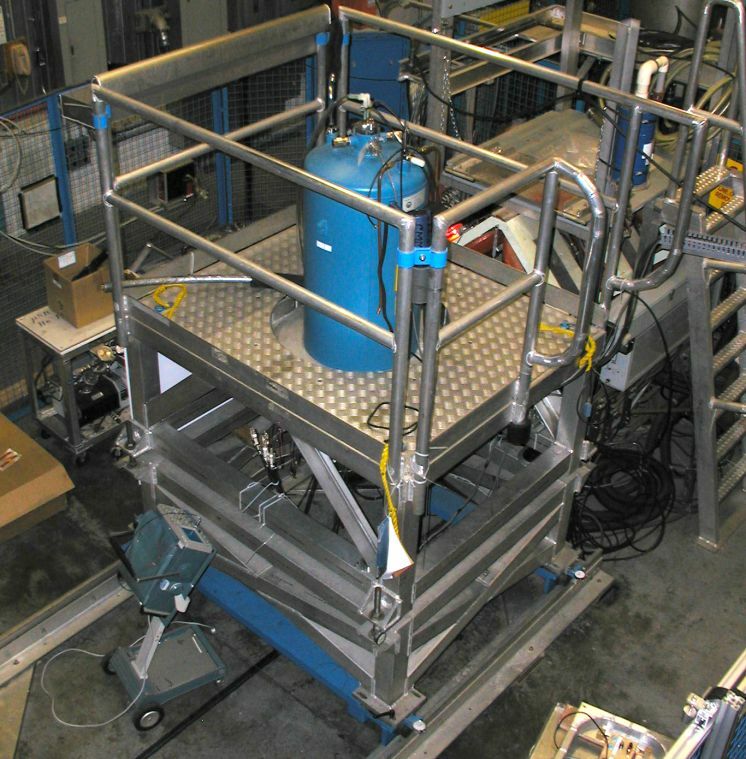 There is a phase separator on the inlet and counterflow cooling in the transfer line, allowing the cryostat to reach 1.7 K.
The cryostat is mounted on a motor-driven transit platform so that the sample can be moved slightly to catch the center of the beam. Although the counters are optimized for high transverse fields (with spin-rotated muons), HiTime can be used for longitudinal field experiments by using a backward counter that replaces the four side-counter scintillators, along with the muon veto counter as the forward counter.